The CMC Ligament Reconstruction Kit provides a convenient all-in-one solution for ligament reconstruction of the base of the thumb. The Tenodesis Screw with a convenient disposables kit the CMC Ligament Reconstruction Kit will enable a faster, more convenient repair providing strong and immediate fixation of the tendon graft. 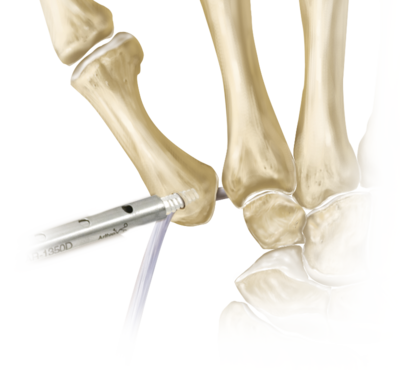 With the included Guidewire and 4 mm cannulated Drill Bit, the bone tunnel at the base of the first metacarpal is established. The QuickPass Tendon Shuttle is included to allow for hassle-free passage of the tendon graft through the prepared tunnel. The 4 mm x 10 mm PEEK Tenodesis Screw provides strong and immediate fixation of the graft, which allows for a more robust repair and enables precision tensioning of the graft. 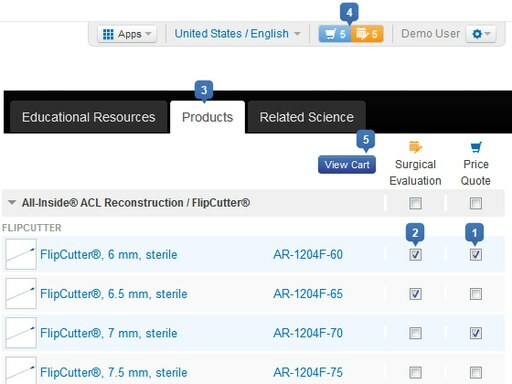 A complete Bio-Tenodesis master set is available if additional sizes are desired.